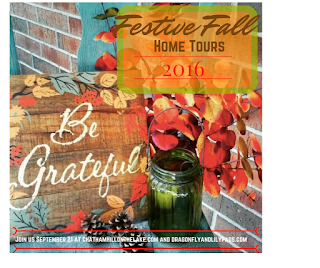 fall is to share our home tours with you. 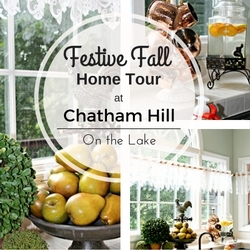 Welcome to Our Fall Home Tour Blog Hop starting this morning with our Tour Director Debbie author of Chatham Hill on the Lake and Assistant Tour Director Karen of Dragonfly & Lily Pads. 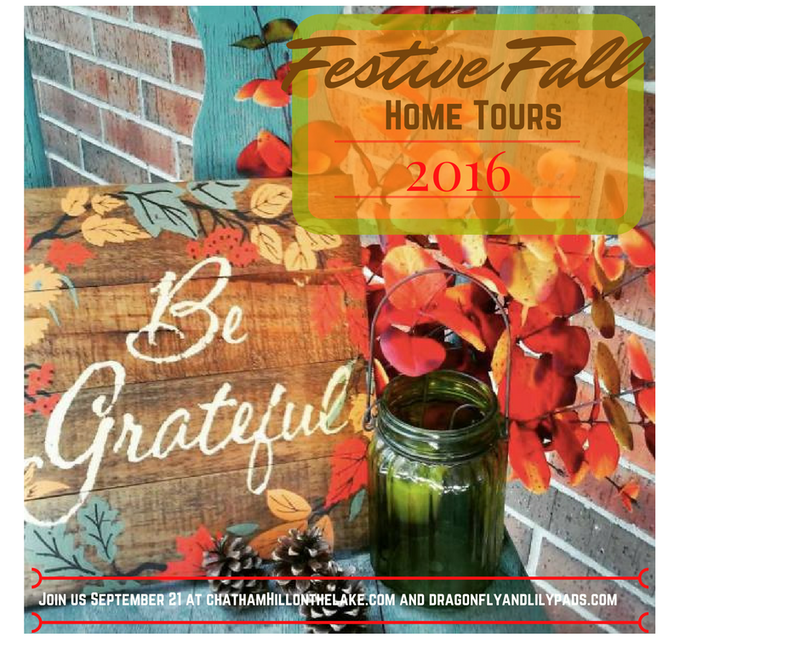 Keep following throughout the week as several gracious Tour Guides through out the welcome mat for all of us to see their beautiful homes. Welcome to our home. This house has served us well for Thirty years. It was built in the late 1930's with us there has only been three families to call her home. 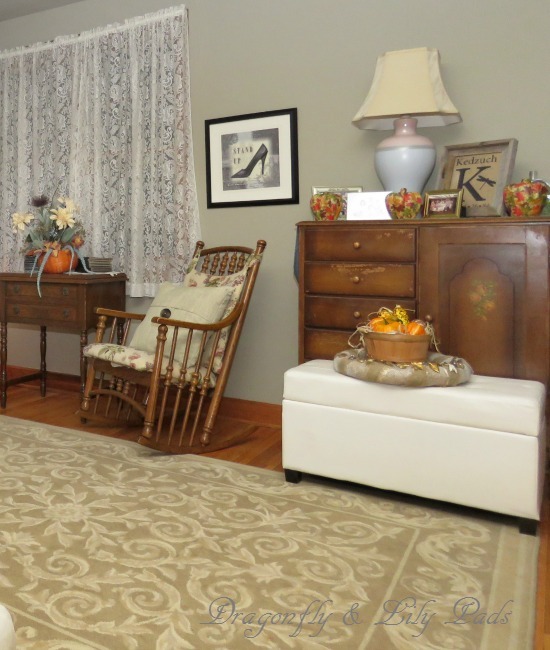 These pictures feature my grandmother's chairs with a table in the center filled with fall colors in a mercury glass bowl. The dress makers form is wearing my blog apron wrapped with a plaid wool scarf of Ireland's, CountyTipperary colors. 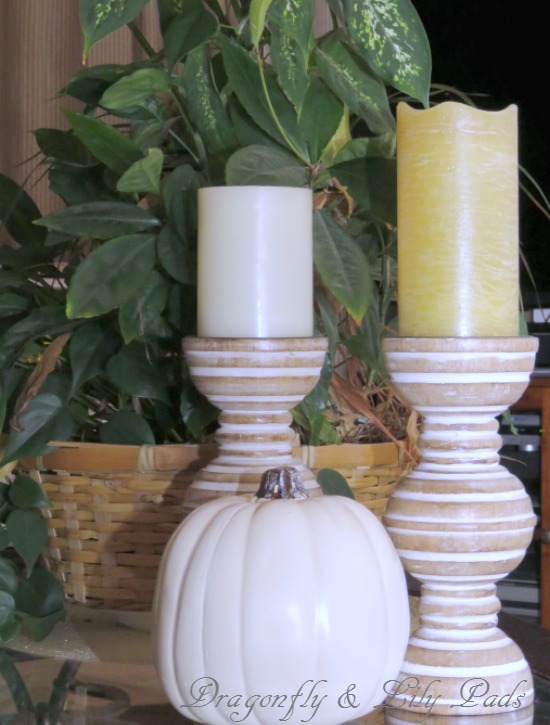 This fall vignette is made from thrift store finds sent to me from my Swap It Like It's Hot partner. I love the K door knob my brother salvaged from a house in the city because it is so unique. The arches in the house is definitely part of the old architecture but keeps the character of the house. 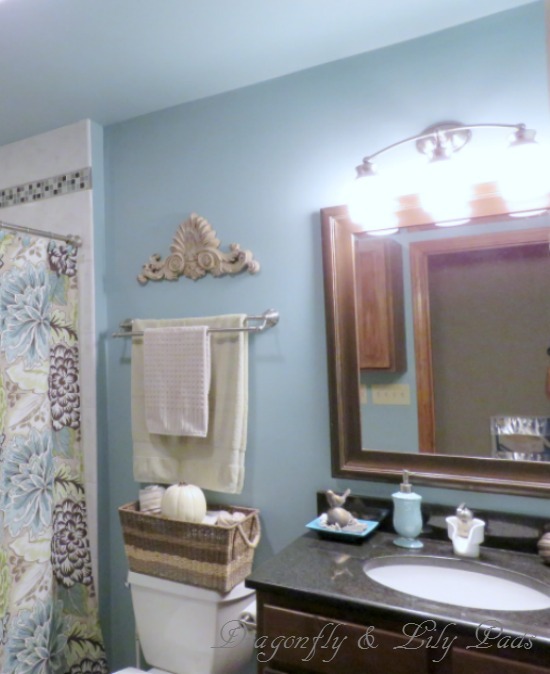 One of my favorite colors makes this bathroom bright even though there are no windows. This Asst. Tour Director is sad to say my tour is almost over. Before you leave I would like to thank you all for coming and invite to visit two more of our guides: Momma Can and My Family Thyme will round out today. 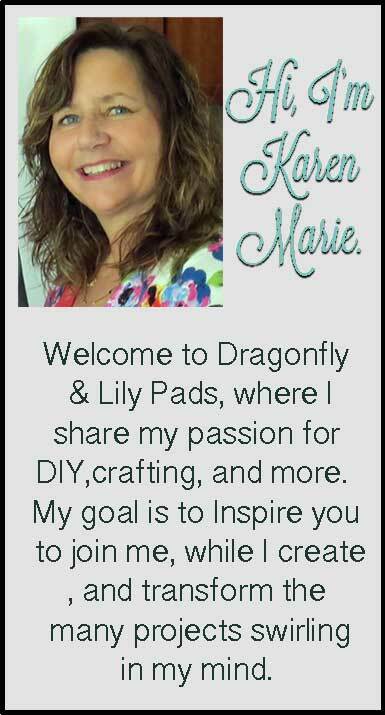 Follow the links above plus be sure to fly by tomorrow for the next group of bloggers who have thrown out the welcome mat for us. 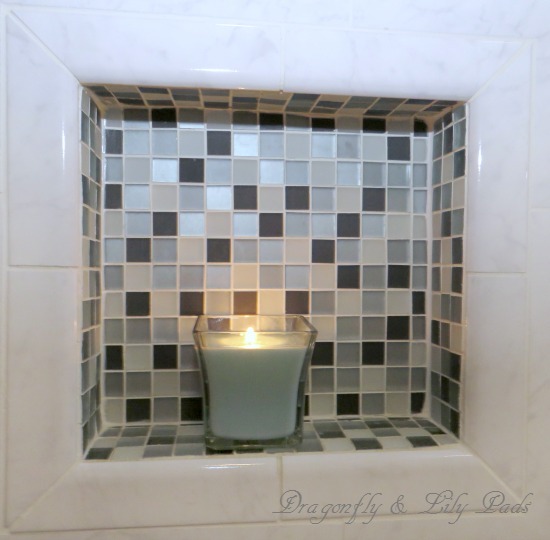 I love your home, hope to see the exterior of a 1930s home! 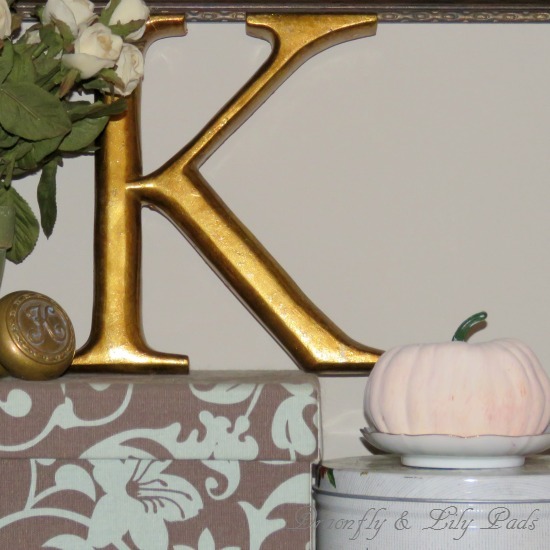 The collections and vignettes are so interesting with the doorknob, K, mixed with pumpkins and gourds. 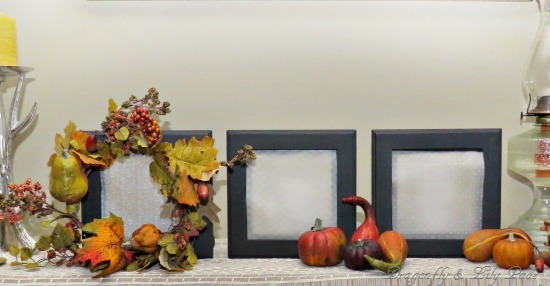 Well loved and cherished and sort of makes me feel wrapped up in Fall. KAREN!!!! WOW!!! 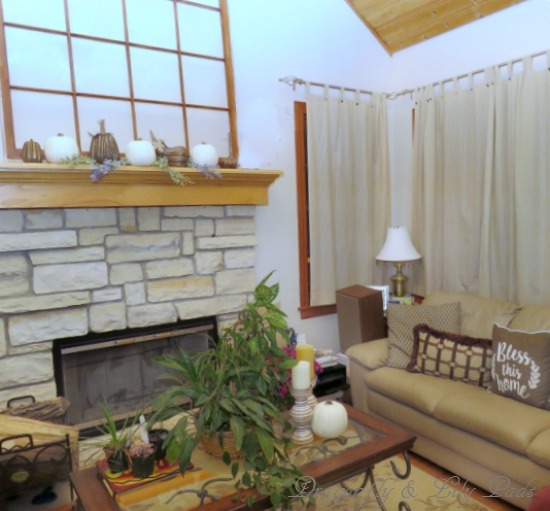 BEAUTIFUL home and beautifully decorated! 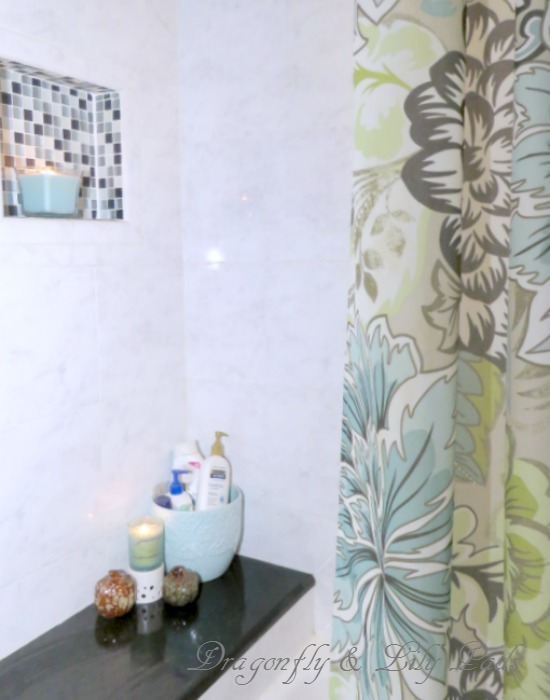 I love the doorknob and K. I love how you did your bathroom. I have 2 without windows, so color is important. The teal pumpkin is PERFECT!!! Thank you so much for the wonderful tour!!! 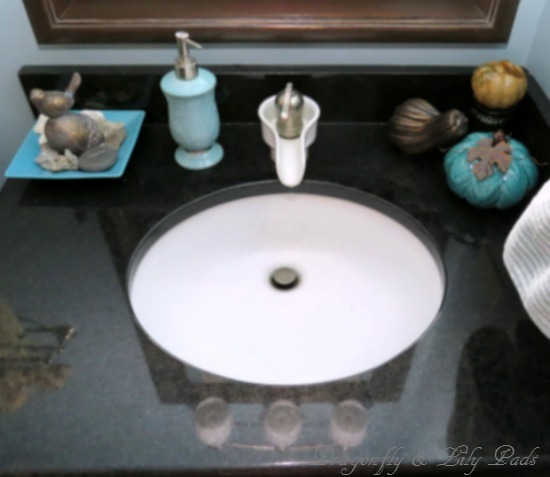 Your home is beautiful, I love the simplicity of your mantle and that teal pumpkin in the bathroom is perfect!!! 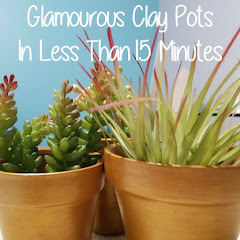 The colors are so beautiful - they evoke a real sense of calm and welcome! 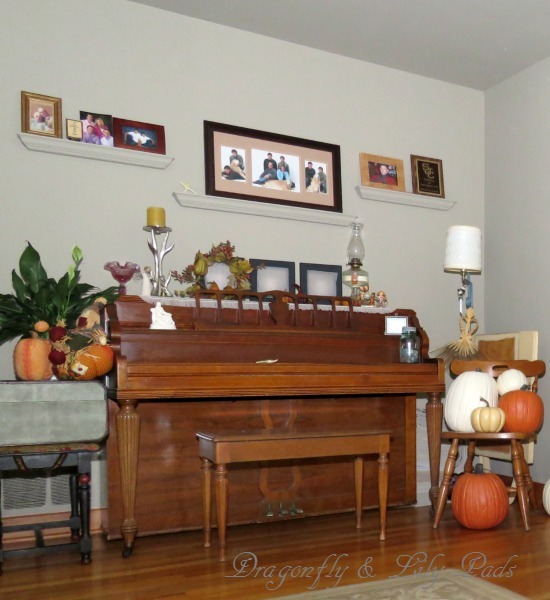 I especially liked the piano and the mantle, with their mix fall decorations -- all beautifully done!! 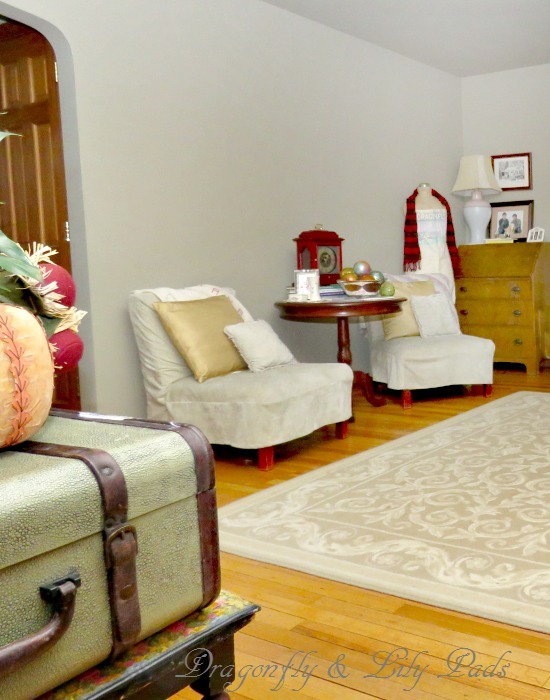 There are so many treasures in your home. I went through the photos three times checking them all out. 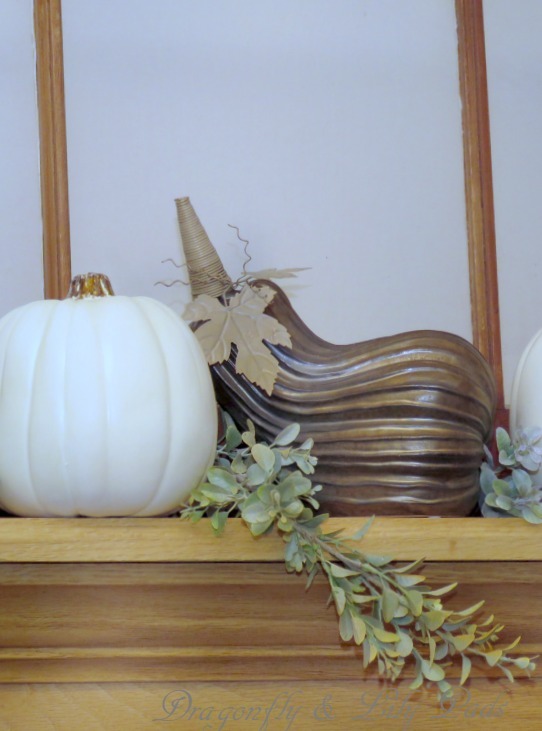 The rocking chair is especially nice as is the gourds for the mantel. I think the doorknob is my absolute favorite thing in your house. I love how much character everything has, and you can tell that many wonderful memories have been created there. 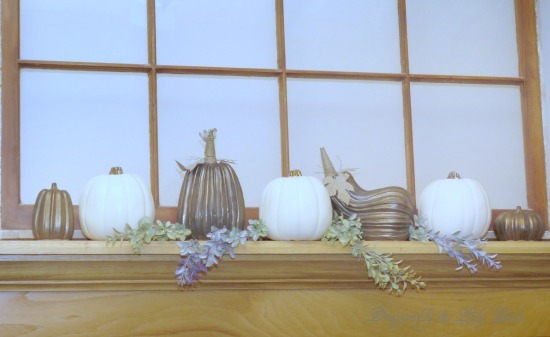 I also love all of your fall elements, like the gourds and that adorable blue pumpkin in your bathroom! I am like Debbie, I am in love with the K doorknob. I love that your coffee table had real plants, so often these days everthing is fake, real is so much peaceful, if that makes sense. 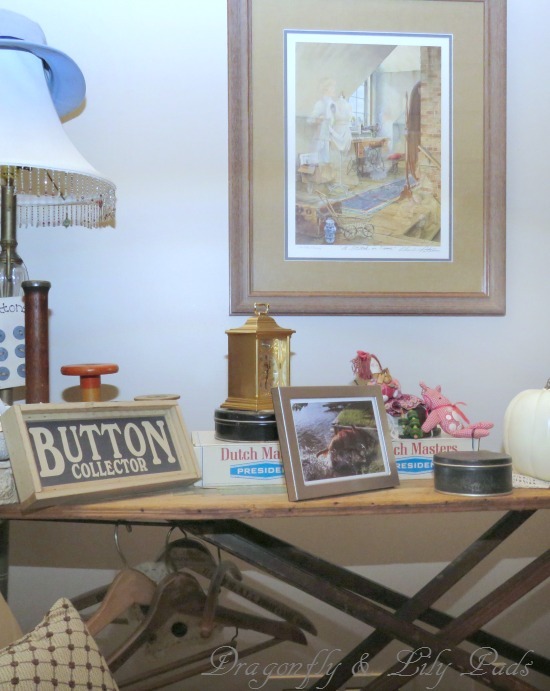 I loved the vintage ironing board with the hangers, so neat. 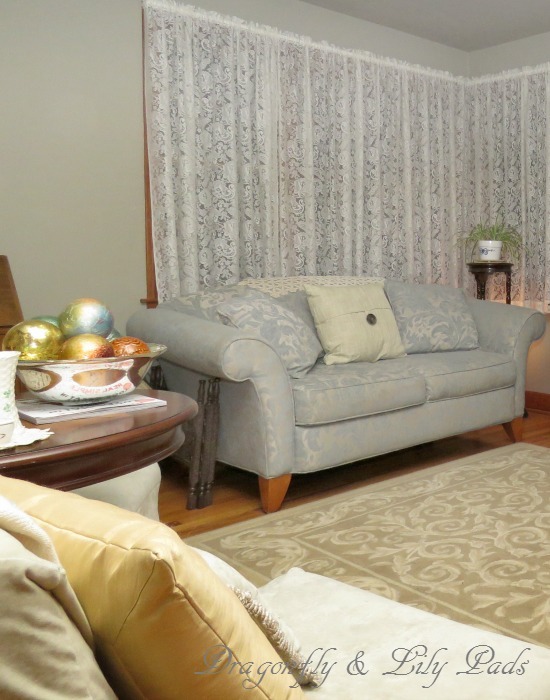 And super neat that you live in a truly vintage home. Truly cool! The K door knob is won of my favorite pieces in my house too. Thank you for visiting and your kind words. You are welcome for the tour. 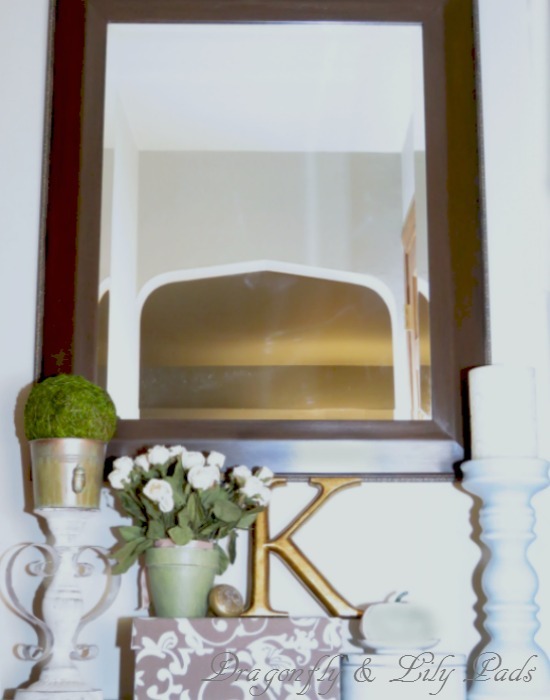 The K door knob has great sentiment to me and always finds a place in my home. Those bathrooms without windows are tricky. 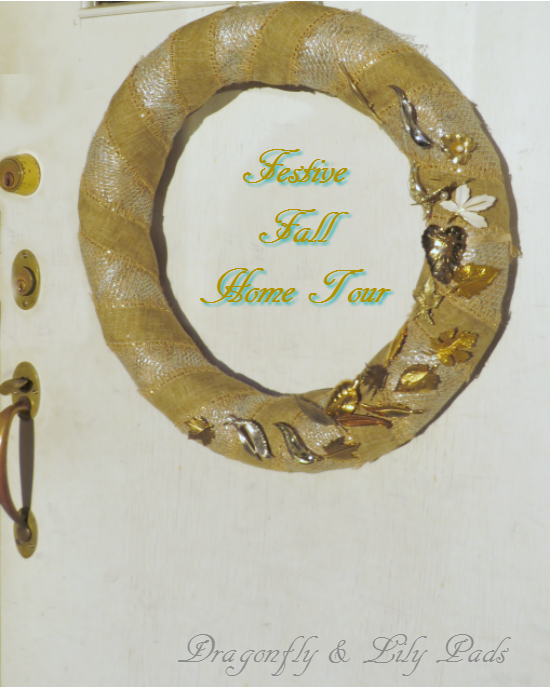 I will be visiting your home tour to sneak a peek at your home soon. Thank you for your kind word. They made me smile. 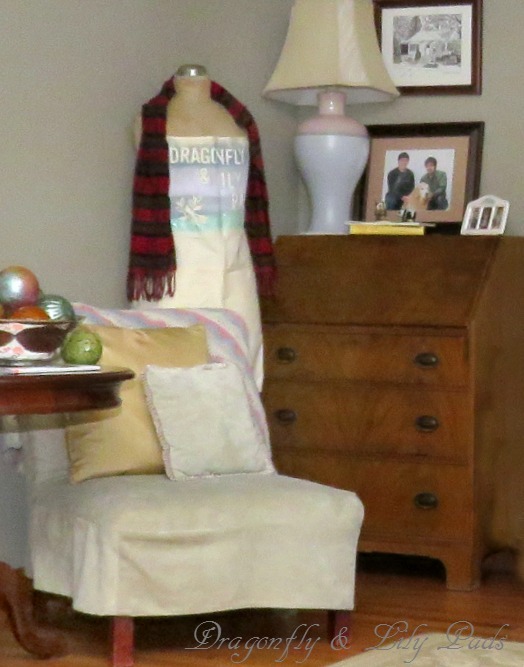 How sweet of you to notice the rocking chair. It is the first piece of furniture my PC and I bought together when we were engaged. 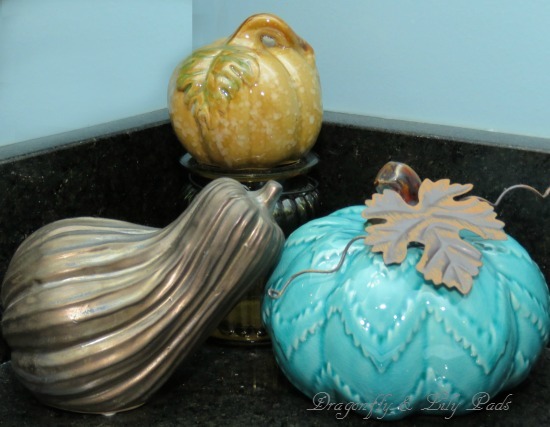 The teal pumpkin is a recent edition to my fall decor. Your attention to detail is the sweetest gesture as you walked through my home. 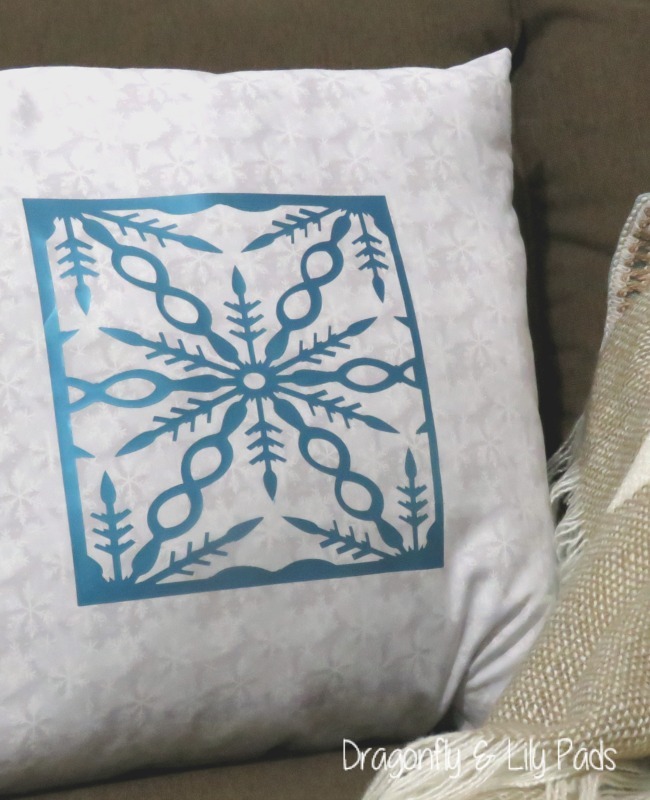 Calm is exactly what I was going for when I decorated. The piano is my husband's family he inherited it from his mother. It was so nice to have you over. 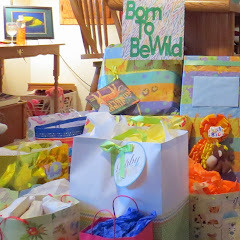 I am thrilled you like what I have done in my home. 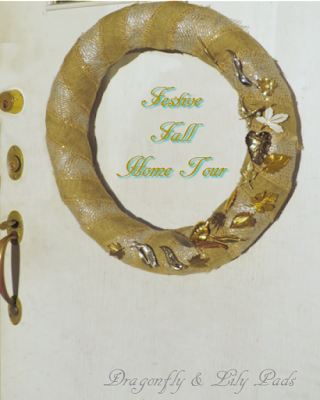 Thank you for visiting our homr tour. 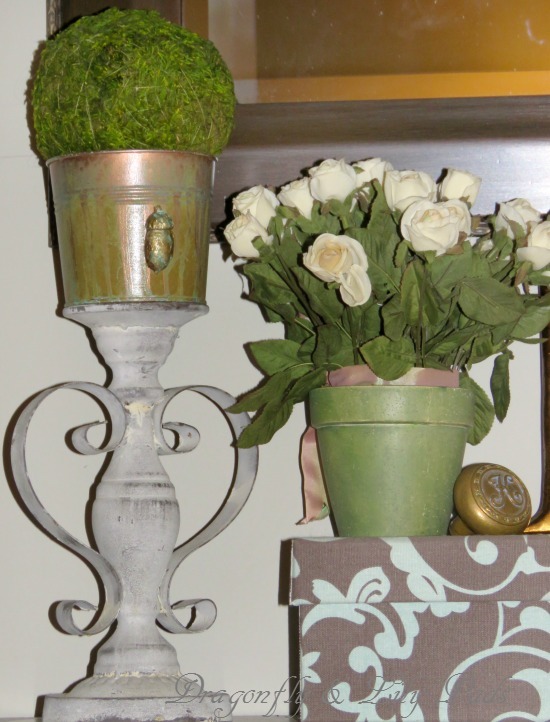 You are so kind to notice a few of my favorite decor items too.